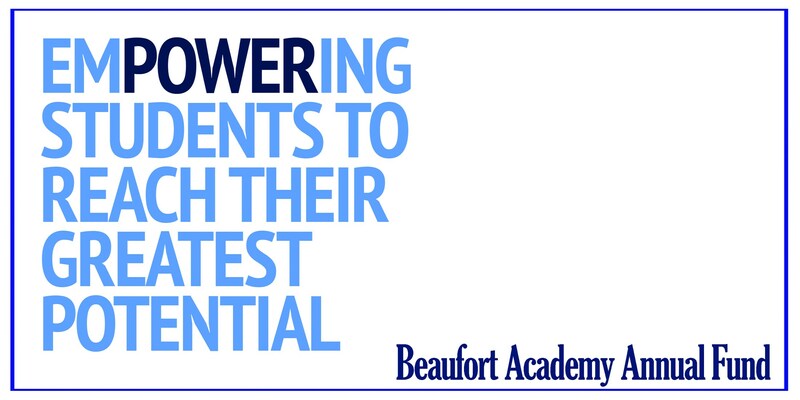 The Beaufort community is fortunate to have an accredited independent school as an educational option. I​n order to keep this option affordable for as many families as possible, BA keeps tuition low. As at every other independent school in the country, tuition does not cover the full cost of a BA education. 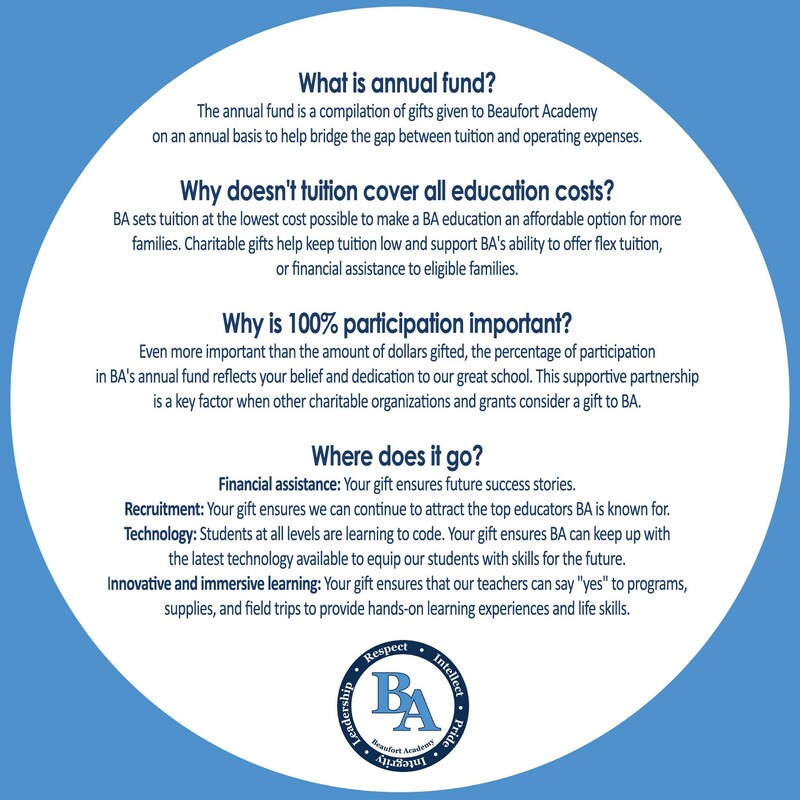 The Beaufort Academy Annual Fund is BA’s second largest source of income; second only to tuition. When you give to the Annual Fund, you are helping sustain the particular dimensions of a BA education—idea-rich classrooms led by invigorated and well-supported teachers, low student-to-teacher ratio, dynamic off-campus learning opportunities, and socioeconomic diversity in our student body. This fund is critical to enabling us to continue to attract and retain the finest faculty, offer financial service to deserving students, and provide technology for academic and infrastructure purposes. ​Your donation is powerful: participation in the Annual Fund directly empowers students to reach their greatest potential. All gifts to the Annual Fund are 100% tax-deductible. Giving is an opportunity for parents, grandparents, past parents, alumni, faculty, and friends of the school to ensure that future generations of students receive ​a ​high-quality BA education. Every gift, whatever its size, is important to BA and greatly appreciated. Please consider contributing at one of the Giving Circles below.